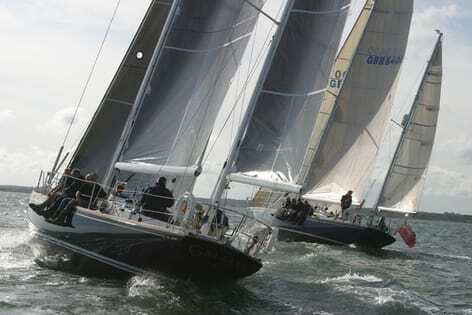 Galliana and her sistership Valhalla are both classic designs from a golden age yachting, yet still current and well-rated race boats. 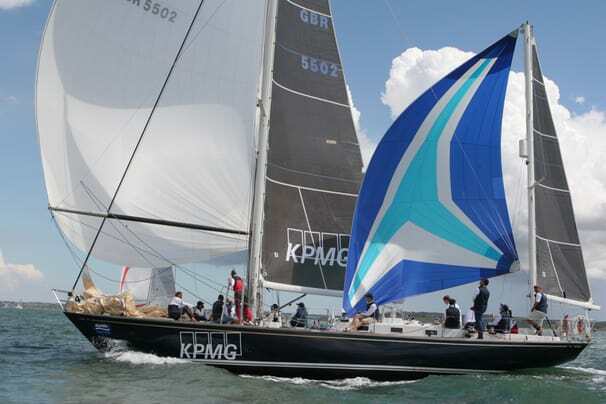 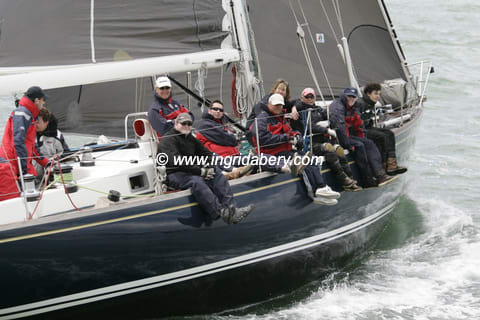 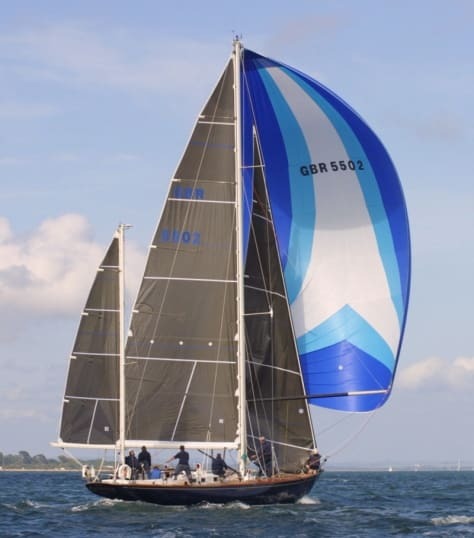 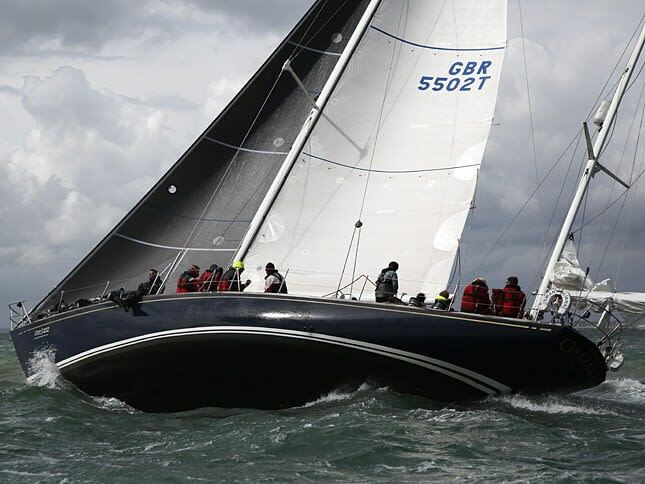 Whether you are looking for a corporate hospitality package or a full Cowes Week of racing, the Swan 55 is a boat that you and your clients will never forget. 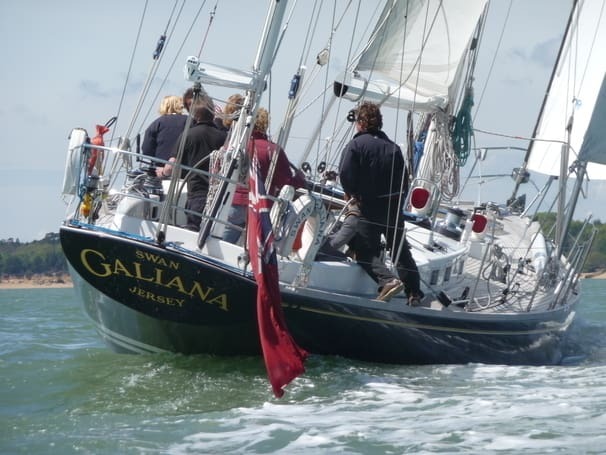 Galiana was built and launched in 1970, the second of the Swan 55s to be completed. 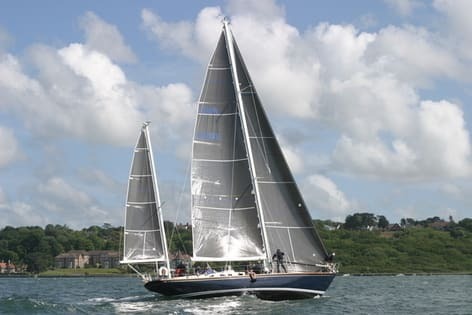 In 2001 a comprehensive refit of both the exterior and interior commenced, which was an ongoing labour of love for the next two years. 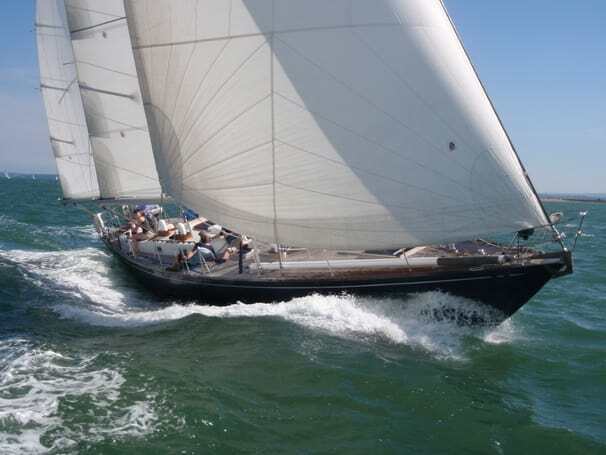 Although she has been rebuilt in many areas and modernised, she hasn’t lost her original classic appearance. Her comfortable interior sleeps up to eight people, with two heads, a well-equipped galley and a spacious saloon. 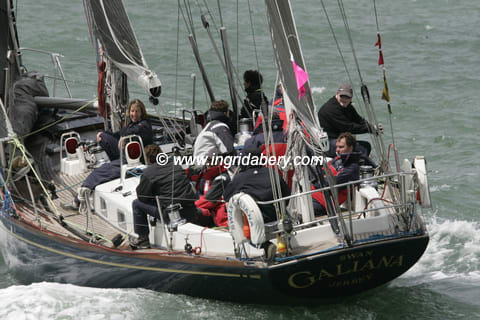 Or she can sail with 12 guests for day charter.